31 A None No Power Seat 31 A is a standard Premium Economy seat however, the proximity to the lavatory and galley as well as the position of the bassinet may be bothersome. 31 C None No Power Seat 31 C is a standard Premium Economy seat however, the proximity to the lavatory and galley as well as the position of the bassinet may be bothersome. 32 D None No Power Seat 32 D is a standard Premium Economy seat however, the proximity to the lavatory and galley as well as the position of the bassinet may be bothersome. 32 E None No Power Seat 32 E is a standard Premium Economy seat however, the proximity to the lavatory and galley as well as the position of the bassinet may be bothersome. 32 F None No Power Seat 32 F is a standard Premium Economy seat however, the proximity to the lavatory and galley as well as the position of the bassinet may be bothersome. 32 G None No Power Seat 32 G is a standard Premium Economy seat however, the proximity to the lavatory and galley as well as the position of the bassinet may be bothersome. 32 H None No Power Seat 32 H is a standard Premium Economy seat however, the proximity to the lavatory and galley as well as the position of the bassinet may be bothersome. 32 K None No Power Seat 32 K is a standard Premium Economy seat however, the proximity to the lavatory and galley as well as the position of the bassinet may be bothersome. 36 C None No Power Seat 36 C is a standard Premium Economy seat. 36 D None No Power Seat 36 D is a standard Premium Economy seat. 36 G None No Power Seat 36 G is a standard Premium Economy seat. 36 H None No Power Seat 36 H is a standard Premium Economy seat. 37 C None No Power Seat 37 C is a standard Premium Economy seat. 37 D None No Power Seat 37 D is a standard Premium Economy seat. 37 G None No Power Seat 37 G is a standard Premium Economy seat. 37 H None No Power Seat 37 H is a standard Premium Economy seat. 47 D None No Power Seat 47 D is a standard Economy Class seat that may have limited recline. The proximity to the lavatories may be bothersome. 47 E None No Power Seat 47 E is a standard Economy Class seat that may have limited recline. The proximity to the lavatories may be bothersome. 47 F None No Power Seat 47 F is a standard Economy Class seat that may have limited recline. The proximity to the lavatories may be bothersome. 47 G None No Power Seat 47 G is a standard Economy Class seat that may have limited recline. The proximity to the lavatories may be bothersome. 48 A None No Power Seat 48 A is a standard Economy Class seat that has extra legroom due to the exit in front. 48 C None No Power Seat 48 C is a standard Economy Class seat that has extra legroom due to the exit in front. 48 D None No Power Seat 48 D is a standard Economy Class seat that has slightly extra legroom however, the proximity to the lavatories and position of the bassinets may be bothersome. 48 E None No Power Seat 48 E is a standard Economy Class seat that has slightly extra legroom however, the proximity to the lavatories and position of the bassinets may be bothersome. 48 F None No Power Seat 48 F is a standard Economy Class seat that has slightly extra legroom however, the proximity to the lavatories and position of the bassinets may be bothersome. 48 G None No Power Seat 48 G is a standard Economy Class seat that has slightly extra legroom however, the proximity to the lavatories and position of the bassinets may be bothersome. 48 H None No Power Seat 48 H is a standard Economy Class seat that has extra legroom due to the exit in front. 48 K None No Power Seat 48 K is a standard Economy Class seat that has extra legroom due to the exit in front. 57 D None No Power Seat 57 D is a standard Economy Class seat however, other flyers tend to bump into this seat. 57 G None No Power Seat 57 G is a standard Economy Class seat however, other flyers tend to bump into this seat. 58 D None No Power Seat 58 D is a standard Economy Class seat however, under seat leg and storage room may be impeded due to the misalignment with the row in front. 58 E None No Power Seat 58 E is a standard Economy Class seat however, under seat leg and storage room may be impeded due to the misalignment with the row in front. 58 G None No Power Seat 58 G is a standard Economy Class seat however, under seat leg and storage room may be impeded due to the misalignment with the row in front. 60 A None No Power Seat 60 A is a standard Economy Class seat that may have limited recline. The proximity to the lavatories and galley may be bothersome. 60 C None No Power Seat 60 C is a standard Economy Class seat that may have limited recline. The proximity to the lavatories and galley may be bothersome. 60 H None No Power Seat 60 H is a standard Economy Class seat that may have limited recline. The proximity to the lavatories and galley may be bothersome. 60 K None No Power Seat 60 K is a standard Economy Class seat that may have limited recline. The proximity to the lavatories and galley may be bothersome. 61 D None No Power Seat 61 D is a standard Economy Class seat that may have limited recline. The proximity to the lavatories and galley may be bothersome. 61 E None No Power Seat 61 E is a standard Economy Class seat that may have limited recline. The proximity to the lavatories and galley may be bothersome. 61 G None No Power Seat 61 G is a standard Economy Class seat that may have limited recline. The proximity to the lavatories and galley may be bothersome. 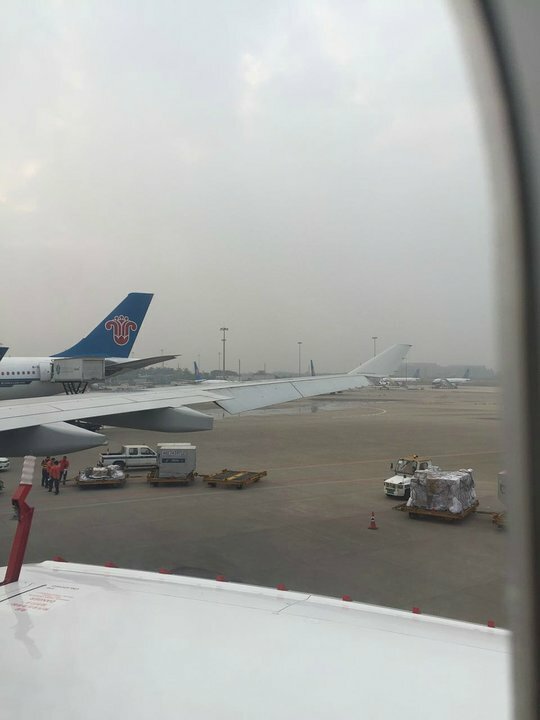 China Southern flies this version of their Airbus A330-200 in a three class configuration with 24 angled flat Business Class seats, 50 Premium Economy seats, and 184 Economy seats. I flew from CAN-CTU. The staff were nice, seat was comfortable, the only downside that it wasn't that different than regular economy. Extremely uncomfortable. 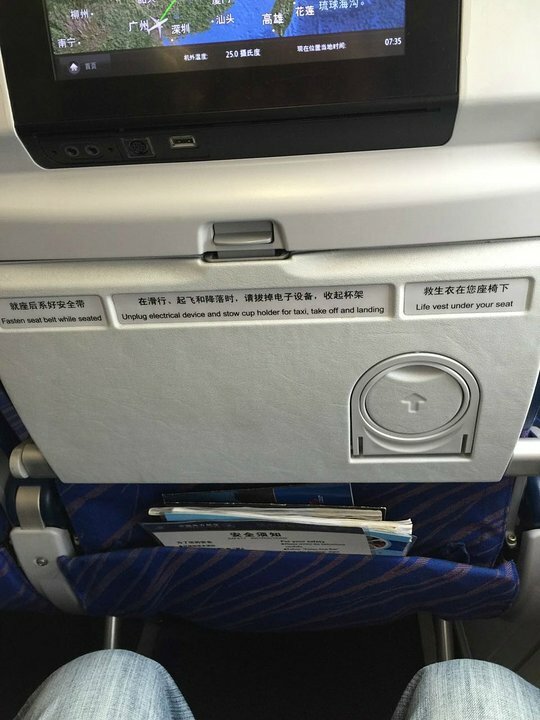 Seats A and C on this aircraft have the metal box which obstructs the footwell. Because from about seat 48 rearwards, the aircraft slopes inwards the metal box is right where you need to put your feet. Totally hopeless design. 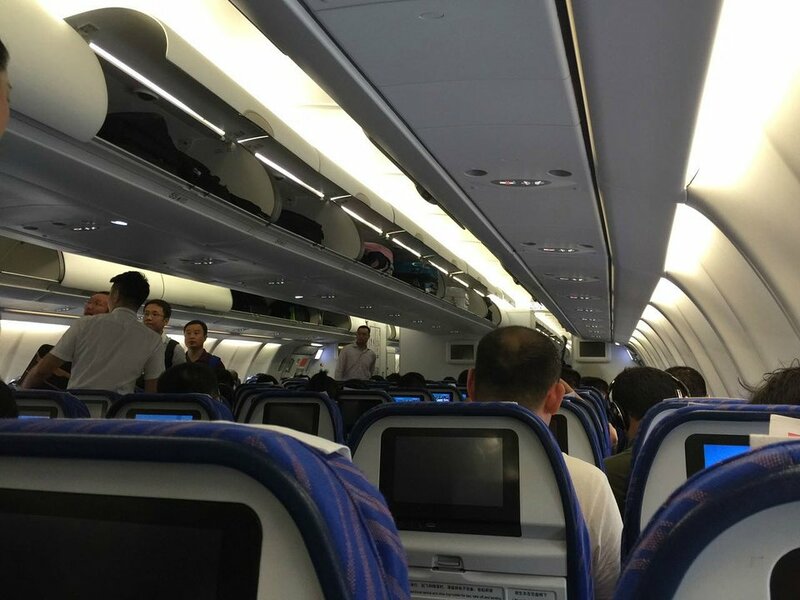 China Southern flies 2 versions of Airbus A330-200.